OK, so whoopie pies had their run...(and I was terrible at those!) 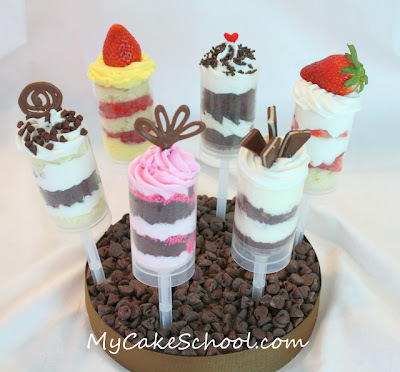 but the next big thing in baking is these little stacks of cake and icing, in Push-Pop containers like the ice cream/popsicle treats! 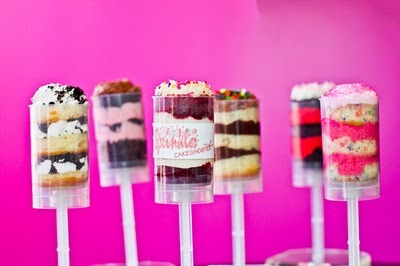 Called Push Up Cake Pops, Cake Push Pops, or Cake Shooters, these little individual and non-messy treats are so cute!! I am not sure I'll actually get into making them, because you do have to buy the disposable or reusable, plastic holders which are pretty expensive (and recently sold out!! see?! TREND!) on Amazon.com and in restaurant supply stores. But they are just so cool, I had to share! See these two links for all the great details!! 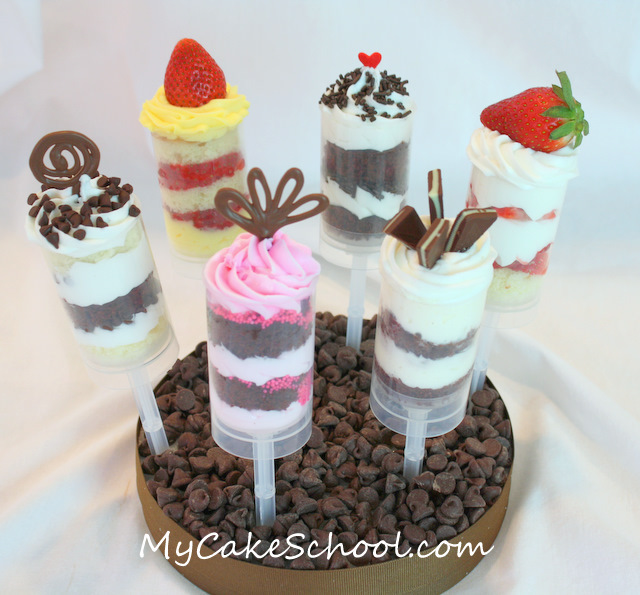 Shout out to Maddycakes Muse and Edible Crafts blogs for the inspiration and photos!